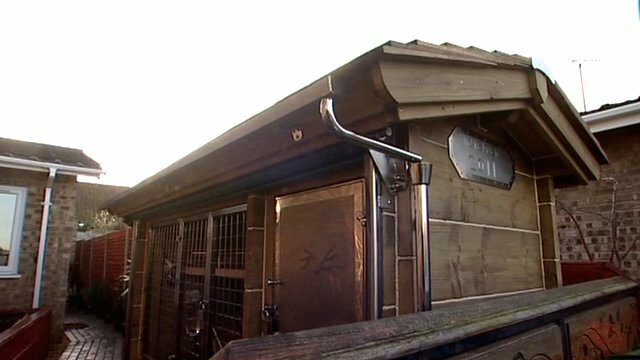 The £10,000 rabbit hutch Jump to media player Norfolk pet owner and hutch builder Jason Batterbee has created a luxury hi-tech home for his pet rabbits Hunnie and Runnie. Norfolk pet owner and hutch builder Jason Batterbee has created a luxury hi-tech home for his two pet rabbits Hunnie and Runnie. Decked out in in pinewood and stainless steel, the well-appointed rabbit residence has its own security cameras, mood lighting and even artwork on the walls.